The Audubon Society’s Francis Beidler Forest is an 18,500-acre bird and wildlife sanctuary located in upper Dorchester County. The sanctuary is not a place you would find by accident since it is located off a two-lane country road in Harleyville. New industries and residential neighborhoods are beginning to encroach on the edges of the Beidler Forest and the 45,000-acre Four Holes Swamp as new roads and development go up all around it. “This has always been a very rural part of Dorchester County, and the neighborhood is starting to change,” said Sanctuary Manager Mike Dawson recently to the Post & Courier (https://www.postandcourier.com/news/acre-wildlife-sanctuary-in-dorchester-county-could-be-threatened-by/article_18c053e8-a9e3-11e8-b26a-df1728a5b6de.html). Dorchester County has increased its population by 2,985 new residents since July 1, 2017, according to the Census Bureau. Most development has occurred in the lower part of the county, but development is increasingly being done in areas around Ridgeville and Harleyville. The U.S. Highway 176 corridor is experiencing much of the development, just east of the Four Holes Swamp, where mega-developments are under construction, including Cane Bay, Carnes Crossroads and Nexton. These three developments are expected to attract about 75,000 residents once completed in the next few decades. Volvo is also building its first North American car factory on 2,880 acres in Camp Hall Commerce Park, to the east of the Four Holes Swamp. Santee Cooper has 1,387 acres for development and 1,950 acres for preservation of land. Both these companies have shown a willingness to be environmentally friendly as they develop these industrial parks. Since the 1960’s the Aububon Society has been purchasing land beginning with 3,400-acres from the family of Francis Beidler. 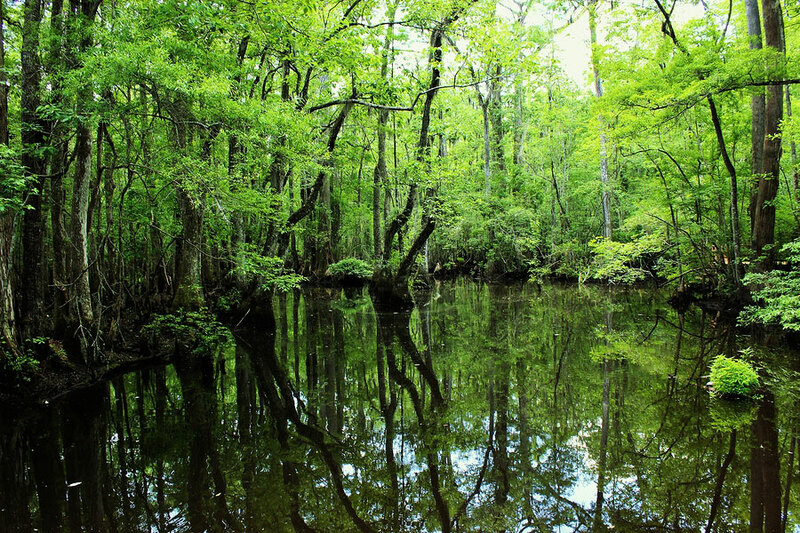 The Four Hole Swamp starts near Orangeburg and flows to the Edisto River at Givhans Ferry State Park. About half of the 45,000-acre swamp is owned by the Audubon Society or protected by conservation easements of individual owners. The Francis Beidler Forest leases about 10,000 acres to hunt clubs, who help oversee the land, maintain access roads and control deer and feral pigs.